Chris Berry has commenced as Branch Manager for Gisborne office. Originally from NZ, Chris has more than 30 years’ experience in the Forestry Industry, the last 15 of which have been in Australia in a variety of forestry-related positions including Forest Operations Manager, Regional Manager, and more recently Forestry Consultant. Prior to this Chris worked for Fletcher Challenge NZ for 17 years. Nick van Haandel has commenced in the Napier office. Nick will be joined by Chris Perry from the Rotorua Engineering team and both men will jointly cover harvest and forest operations in the Hawkes Bay region. Nick has a strong knowledge of the Hawkes Bay Forests through his previous employment with both Rayonier and Pan Pac in Napier where he has held several positions including Wood Purchase Coordinator and Forest Engineer. Nick graduated in 2010 with a Bachelor of Forestry Science from Canterbury University, and has since completed a National Certificate in Occupational Health & Safety. He enjoys hunting, fishing and rugby. 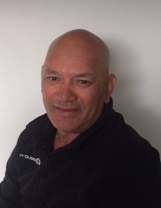 Dennis Te Tuhi commenced as Harvest Manager, Whangarei. Previously Dennis worked for 8 years as a Harvest Forester with Hancock Forest Management, Whangarei. His previous experience includes being a Trainer/Assessor in Sustainable Rain Forests, Sarawak, Malaysia. Dennis’ interests include his hobby farm, fishing, hunting and running. Andy Percy commenced as Engineering Supervisor in the Rotorua Engineering team. Andy’s last job was with Gaddum Construction where he was a Roading Operator/Foreman. Prior to this Andy was an owner/operator earthmoving contractor working for NZ Forest Managers, Turangi and Fulton Hogan, Taupo. Andy has a partner and 2 children and enjoys fishing, golf, mountain biking and motor sports.